(NaturalNews) A noted investigative journalist says the American people are still not being kept up to speed about the dangers of possible spread of Ebola in the country, and that the government's chief agency for handling such emergencies is the primary culprit. In a recent interview with Fox News' Media Buzz program, former CBS journalist Sharyl Attkisson said that the Centers for Disease Control and Prevention, as well as the Obama Administration, is not telling the public about all of the possible cases of Ebola that officials are continuing to monitor. She went on to say there was an effort to control the Ebola message. "A lot of the media coverage has gone from overtime to almost nothing since they appointed the 'Ebola czar,'" Attkisson said. 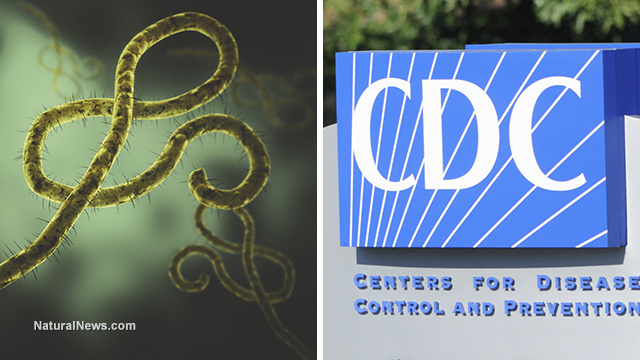 CDC Director Dr. Tom Frieden initially was all over the place conducting interviews and talking about the deadly disease after the first case was diagnosed in September, and afterward when two nurses caring for the first victim were also diagnosed with the virus. Then, in late October, President Obama appointed longtime Democratic political operative Ron Klain to be an "Ebola czar," but he was nearly silent (and has now announced that he is resigning his post) about the disease. Media coverage in the U.S. of the virus has also all but dried up. Attkisson said on the program that infectious disease experts are still "very concerned," because if the deadly virus gets out of control in the United States, "we will not even be able to, obviously, deal with it." The public is somewhat safer now, she told host Howard Kurtz, but the reason for that is because there was media coverage and a public outcry that changed completely how the government handled the Ebola crisis. Attkisson also said that she phoned the CDC recently to inquire about how many potential cases were being actively monitored in the U.S., and was told that 1,400 people were being followed. "I said, 'Where is that on your on your website, these updates?' They said, 'We're not putting it on the web.' So, I think there is an effort to control the message and to tamp it down," she told Kurtz. "This is public information we have a right to know and the media should not hype it, but cover it." Meanwhile, the BBC reported in late December that spending cuts by the International Monetary Fund (IMF) were being blamed by some researchers in the United Kingdom as having contributed to the rapid spread of the virus in the most-affected West African nations. The cuts led to "under-funded, insufficiently staffed, and poorly prepared health systems" in Sierra Leone, Guinea and Liberia, the researchers said, as quoted by the BBC. IMF officials denied the allegation, the British network reported. So far, the virus has killed more than 7,300 people, most of them in the three West African nations. "A major reason why the Ebola outbreak spread so rapidly was the weakness of healthcare systems in the region, and it would be unfortunate if underlying causes were overlooked," Cambridge University sociologist and lead author of a study examining IMF's role in the crisis Alexander Kentikelenis said. The study went on to say that policies requiring government spending be cut were "extremely strict, absorbing funds that could be directed to meeting pressing health challenges." In an interview with the BBC's Newsday program, Kentikelenis said that caps on labor and wage measures meant that countries were unable to hire adequate health staff and then pay them properly. He also said the IMF's emphasis on a decentralized healthcare delivery system made it much more difficult to mobilize a coordinated response to health emergencies like the Ebola outbreak.